Do you remember the most stressful holiday you’ve ever had? I do. I insisted on having a live Christmas tree. Harold disagreed, but went along with it anyway. A few days before Christmas, during a gathering of friends and family, the fully decorated tree fell over. Fully decorated. Presents were soaked and tensions were high. Picture me with a saw and Harold with an attitude. But several years, and an artificial tree later, we’re still married and we still celebrate Christmas. Together. Because I learned in that moment that the stress of perfectly wrapped gifts and perfectly planned parties is more than it’s worth for me. Every year during the holiday season women are likely to experience an increase in stress. Psychological and medical agencies report increases in stress from come pressure to meet commercial expectations of holiday cheer and merriment. Reduce your headache with these five ways moms can avoid holiday stress this year and every year. This post may contain affiliate links. That means if you click a link I may receive a commission at no additional cost to you. I only recommend products and services I have used and love and know you will too. Click here to read our Disclosure Policy. Avoid Holiday Stress: Choose a goal and write it down. What would your stress-free, dream holiday look like? Tranquil? Restful? A happy family eating homemade gingerbread cookies, drinking eggnog and enjoying a sing-along in front of the fireplace? Or maybe sunbathing off the coast of a tropical island? Maybe you just want to get your holiday cards in the mail before Christmas. Take the time to envision your ideal circumstance and set a goal to achieve it. Know the why, when, who and what about your stress-free dream. For instance, if your goal is like mine – to make all performances, events, and parties (relatively) on time this season – be sure to capture all the important information about each event and write it down. Dreams are good for inspiration, but until it’s written down it is not a goal. Avoid Holiday Stress: Make a realistic plan. Whether it’s a financial plan for gift shopping, an event calendar for parties and plays, or a travel itinerary for that tropical getaway, know what you want and make a plan to accomplish your goal. Budgeting: A popular and easy to follow financial plan is the 52 Week Savings Plan. At the end of a year, you’ll have $1378 for gifts, parties or that tropical getaway. Scheduling: As a mom, having a schedule is a necessity. Even more important is that you have a schedule for everyone. Cozi.com is an online shared family organizer. With tools for your calendar, shopping list, meal planning, and recipes, it’s the perfect tool for your holiday planning. It’s not likely that the timing of Christmas will be changing anytime soon. Keep that in mind and planning will be a cinch. 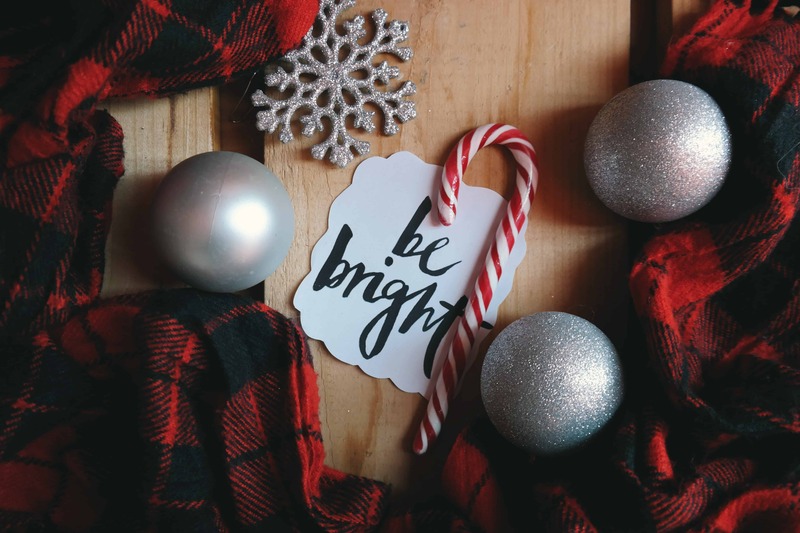 Avoid Holiday Stress: Say NO. This can be difficult, especially during the holiday season. The traditional themes of family, togetherness, and giving carry a good deal of emotion. We ask ourselves, “If I say ‘no’ does it mean I lack compassion?” Absolutely not. We must be selective with our time and energy to avoid stressing ourselves out. The easiest way to say no and be OK with it is to remember the goal and the plan! While the invitation is sincere, if it doesn’t align with the goal, the answer should be no. A gracious, “I really appreciate the offer, but we aren’t able to [fill in the blank],” will let the other person know that their generosity is not taken for granted. When you to say yes to the best, saying no to the good things in life can be done with ease. Avoid Holiday Stress: Don’t sweat the small stuff. What is most important to you this time of year? For me, it’s spending time with my family, surrounded by love, laughter and of course a little food. Growing up, the holidays meant gathering at my grandmother’s house where all four generations shared food, fun and good times. But those good times didn’t happen without a plan and an order. So, I was devastated when our fully decorated Christmas tree fell over. Somehow in my mind, I had failed at Christmas. Our good friends were worried that divorce was on the horizon for Harold and me. I mean, there was a saw involved. Because I didn’t learn my lesson, the second time, it was old hat and we shook off the presents, re-wrapped a few, and kept it moving. We also invested in an artificial tree. Holding onto anxiety and frustration will only increase your stress. So when you find yourself faced with a stressful predicament, ask yourself, “How long will this matter?” I believe you’ll find more often than not, the impact won’t last beyond New Year’s Day. Ornaments can be replaced, but memories can’t, and bad ones are hard to overcome. Don’t sweat the small stuff. And let go some of the big stuff too. Avoid Holiday Stress: Get help. The last tip for avoiding stress this holiday season is: Don’t go it alone. Use your support system and delegate where possible. And even if everything doesn’t get done, don’t stress out over it. There’s always next year. What stresses you out during the holidays? What strategies do you follow to relieve that stress? great read!! i’m already thinking of decorating! !